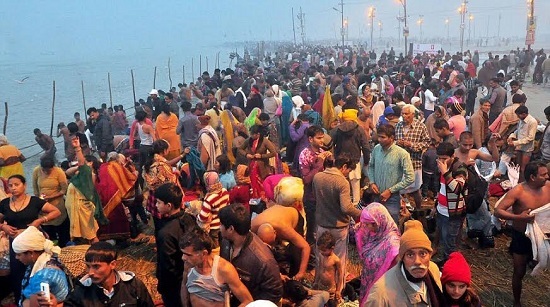 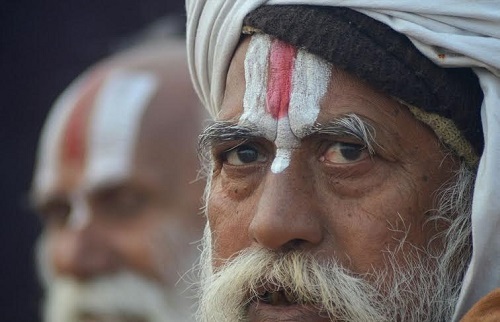 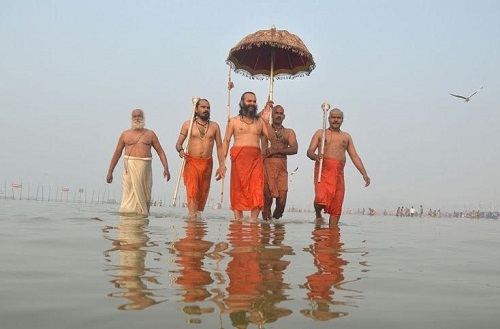 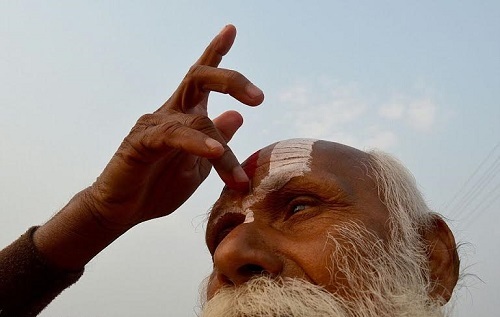 Out of the thousands of Hindus gathered at the banks of northern India's Triveni Sangam, just outside of the city of Allahabad, one man stood out. 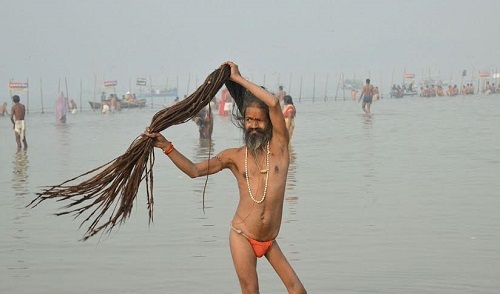 The Sadhu, or holy man, swung his ten-foot-long dreads through the air like heavy chains as he stood knee-deep in the cold river water wearing nothing but a pair of saffron briefs. 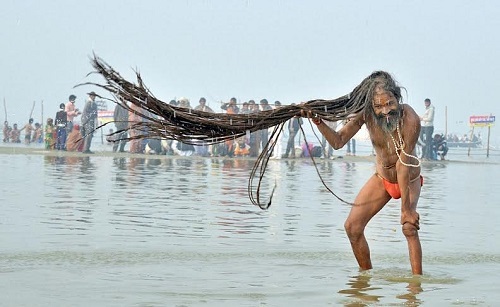 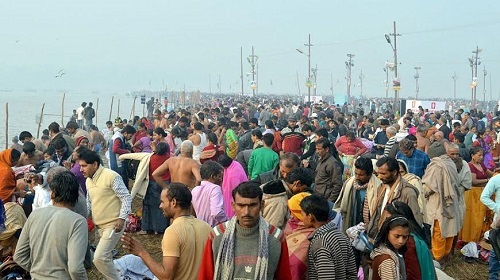 His dramatic display is part of the holy dip of Magh Mela, a lengthy festival with more than 1,000 years of history that celebrates the beginning of the universe and the holy site. 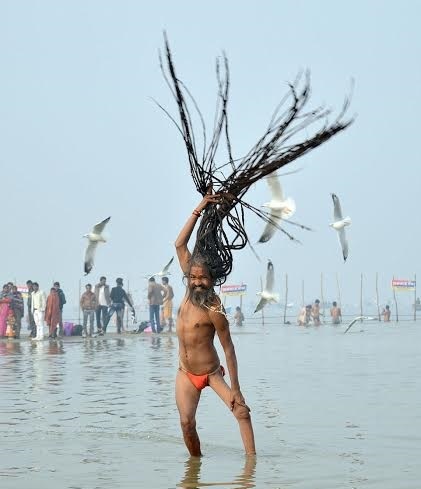 See more photos of him below and photos from the festival too. 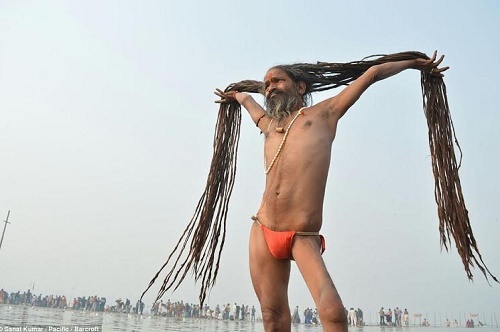 Let’s hope he conditions.